May we all remember Bastille Day 2016 as the day we saw two famous people jerk each other off in the pages of the New York Times. 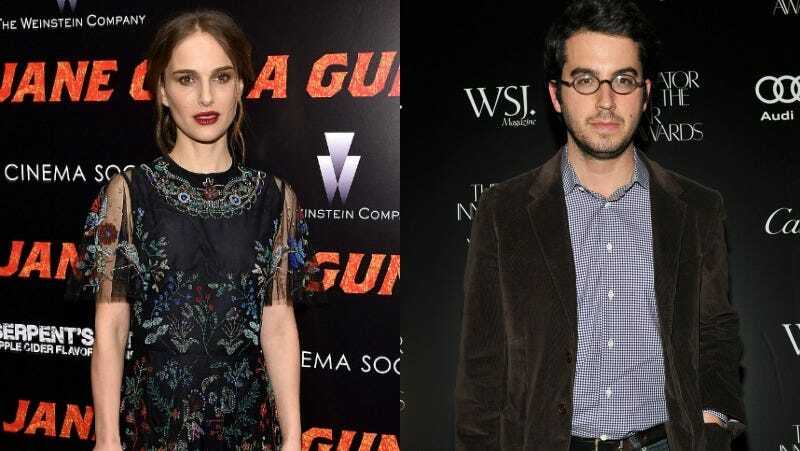 On Thursday, T Magazine published a Jonathan Safran Foer-penned “profile” of his intimate friend Natalie Portman, on the eves of the publication of Foer’s first book in ten years and Portman’s directorial debut (for the film A Tale of Love and Darkness). It wasn’t a typical profile, though, because Foer and Portman don’t have typical minds—they are both vegetarians. Instead, it was a continuation of their apparent decade-long epistolary platonic romance. Apparently, rumors of these intellectually-indulgent correspondences have been floating around for some time—beginning when Portman signed on to produce a film based on Foer’s book Eating Animals— and this particular profile, I guess, was a nod to those rumors. You can read the profile for yourself, if you want, but on the whole it reeks of two people who have been made very aware of their talent who are relishing the opportunity to luxuriate in the act of Letter Writing to One’s Artistic Equal For Once, and to do it on a national scale. The most interesting part of the profile to me is in light of another rumor that Foer, years ago, left his successful author wife Nicole Krauss after becoming enamored with Portman, but failed to ask Portman if she was on board (she supposedly wasn’t, and stayed with her husband, ballet man Benjamin Millepied). If that’s true, or at least if Portman thinks people think that’s true, her responses in the profile become a master class in negging, with Portman constantly referencing her mother-in-law, how “Ben” made her laugh, and general small comments about married life. It was so good to meet you after the reading the other day. I loved what you said about the last line of the book ending in the middle of a sentence, that it was a dialogue with the reader, and what a reader fills in completes the book. It reminded me of the Walter Murch thing about digital film: It will never be as emotional as film-film because it doesn’t have the black between frames. With regular film (as you probably know), between each frame is a black frame that flashes for a fraction of a second, and the viewer’s eyes fill in the picture reflexively. So the viewer has to be engaged in a way they don’t have to when all the visuals are provided to them. It is our engagement in the process, our helping the creation of the piece, that makes us feel the story. The thing about film is a nice thought, but it’s also, mainly, a compliment to Foer. I’m glad he was able to include it.